It is an engrossing temple established by Adiguru Shankaracharya near in the 8th century AD. It is in the center of the old town on the Banks of the River Ganges. According to the ancient records, it is one of the oldest temples of Rishikesh and is among the most important places to visit in Rishikesh. In the inner sanctum, you will find an idol of lord Vishnu. Several old statues, coins, pots and other artifacts of historical importance have been found during recent excavations within the premises. It is located adjacent to Triveni Ghat and is one of the most significant among the tourist attractions in Rishikesh. According to the legend, this pond was saturated by Goddess Yamuna and it mirrors the temple of Ragunath, which is devoted to lord Rama and his wife. It is a sacred spot where the pilgrims swarm to for a holy dip. A large number of pilgrims throng in to this place every evening to attend the Ganga Arti that takes place at this Ghat. This is the oldest temple complex in the entire area and you can find the description of well-known Indian epic Ramayana and Mahabharata on its walls. Only peace and harmony seem to dwell at this place and it is must visit among the tourist attractions in Rishikesh. It is one of the most prominent landmarks at Rishikesh. This is a suspended bridge and was built in the year 1929. According to the beliefs, the river at this place is said to have been crossed by Rama’s brother Lakshman using a jute rope. To savor the panoramic views of the surroundings and the cool breeze, this bridge is an ideal spot. 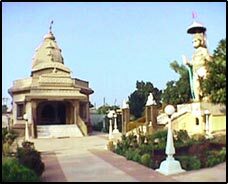 The ashrams strewn all over the town are indisputably the leading tourist attractions in Rishikesh. On your tour to Rishikesh, you will come across lots of them. Most of them impart spiritual studies and lessons on meditation and well-being of the mind. Some of the leading ones are Paremarth Niketan, Sivanand Ashram, Yoga Niketan, Omkaranand Ashram, Vanprastha Ashram, Shankaracharya Nagar Transcendental Meditation Centre, Vithal Ashram and Yoga Study Centre.